At the Ben-Cohen Law Firm, our principal is both an attorney and a Certified Public Accountant (CPA). This allows clients struggling with tax issues to obtain legal advice from an individual who has an in-depth understanding of tax returns and how the IRS reviews them. Mr. Ben-Cohen represents clients in federal civil and criminal tax matters, including litigation, appeals, audits, voluntary disclosures, offshore matters, and collection defense. In addition to federal representation, he provides representation before the California Franchise Tax Board, the State Board of Equalization, and the Employment Development Department. Mr. Ben-Cohen has significant experience representing out of state clients in California residency audits. If you are struggling with an audit or another tax issue, a Los Angeles tax lawyer at the Ben-Cohen Law Firm may be able to assist you. Tax crimes are taken seriously by federal and state governments. Many federal tax crimes involve an element of willfulness. Under Title 26 U.S.C. § 7201, anyone who willfully tries to evade or defeat a tax is guilty of a federal felony. Among other penalties, a conviction under this section may result in imprisonment for five years for each offense, a maximum fine of $250,000 for individuals or $500,000 for corporations, or both. A willful failure to file a return, provide information to the IRS, or pay a tax is a misdemeanor under Title 26 U.S.C. § 7203. Each offense is punishable by a maximum of one year imprisonment, fines of up to $100,000, or both, plus the cost of prosecution. Some civil IRS examinations have the potential to ultimately result in a criminal investigation. These are also known as eggshell audits because the taxpayer may face serious consequences and should tread carefully to avoid them. Eggshell audits often arise when a taxpayer under-reports income or over-reports deductions. If an IRS agent who conducts this type of audit finds a criminal issue, he or she will decide whether or not to refer the case to the Criminal Investigations Division of the IRS. If the case is referred, criminal prosecution may result. By enlisting a knowledgeable tax attorney at the Ben-Cohen Law Firm, you can improve your chances of keeping an eggshell audit within the civil examination process and shielding yourself from criminal prosecution, as well as avoiding or minimizing any civil fraud penalties that may be imposed. Civil tax matters include audits, collection defense, and offshore assets. Whether they occur by mail or in person with a review of your records, tax audits can be very stressful. Representation before the IRS by an experienced attorney and CPA can make the experience easier. We also handle protests before the IRS appeals office, as well as before the United States Tax Court and federal courts, if the outcome of an audit is unfavorable. We can provide both substantive and procedural defenses to audits. One procedural defense involves the statute of limitations period. Under Title 26 U.S.C. § 6501, the amount of any tax imposed by the IRS must be assessed within three years after a taxpayer files a return. However, there are exceptions to this limitations period. For example, if the return is false or fraudulent, or if a return is not filed, there is no statute of limitations. Furthermore, the statute of limitations period is extended from three years to six years if a taxpayer grossly underreports income. The IRS has an appeal system to allow taxpayers who disagree with the IRS examiner to settle their matter without going to court. However, if you do not want to appeal within this system, you can take your case to tax court. A local appeals office handles appeals of tax decisions reached by an IRS tax examiner, which means a different person will handle your appeal than the person who handled your audit. One significant difference between an appeals officer and an IRS tax examiner is that an appeals officer can take into account the hazards of litigation to settle your case. The IRS examiner cannot take such hazards into account at the audit level. This distinction can lead to reasonable settlements at Appeals without going to court. If you skip the IRS Appeals system, or you disagree with the determinations made at your Appeals conference, you can bring your case to the U.S. Tax Court, the U.S. Court of Federal Claims, or the appropriate U.S. District Court. Many people vacation or spend part of the year in California without becoming a full-time resident of the state. Residency has a substantial impact on the amount of a taxpayer's obligation under California law. The California Franchise Tax Board periodically conducts residency audits to examine whether a taxpayer is staying in the state for only a temporary or transitory purpose, or whether the taxpayer is staying in California for a long-term period or indefinitely. This is a critical distinction because only people who are in the state indefinitely or for a long-term period have a tax obligation under California law. An extensive range of documents may be requested during this lengthy, complex process, and it is important to seek legal representation to ensure that your rights are protected and that auditors maintain confidentiality in handling your personal information. Tax law is intimidating to most people. It is a complex and nuanced area that even sophisticated business people have difficulty navigating. If you are facing a criminal or civil tax dispute, or filing an appeal, you should consult an experienced Los Angeles tax attorney at the Ben-Cohen Law Firm. In addition to being a CPA, Mr. Ben-Cohen is a Certified Taxation Law Specialist who is certified by the State Bar of California Board of Legal Specialization. 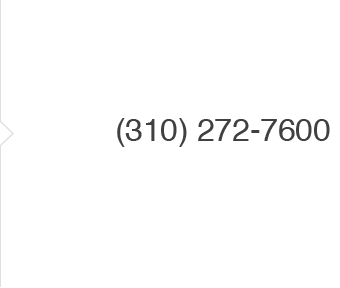 Contact Mr. Ben-Cohen and his staff at (310) 272-7600 or via our online form to set up an appointment with an audit attorney or explore your options regarding any other civil, criminal, or appellate matter related to tax law. We assist people throughout Los Angeles County, including in Santa Monica, Malibu, Venice, Beverly Hills, West Hollywood, Burbank, Pasadena, and Sherman Oaks.